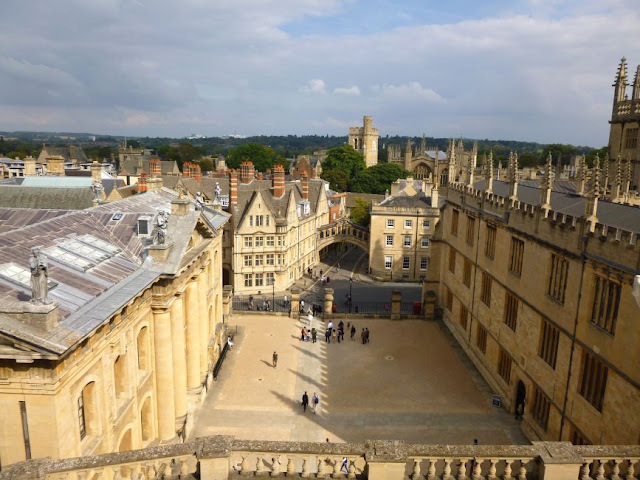 My virtual tour of Oxford continues! 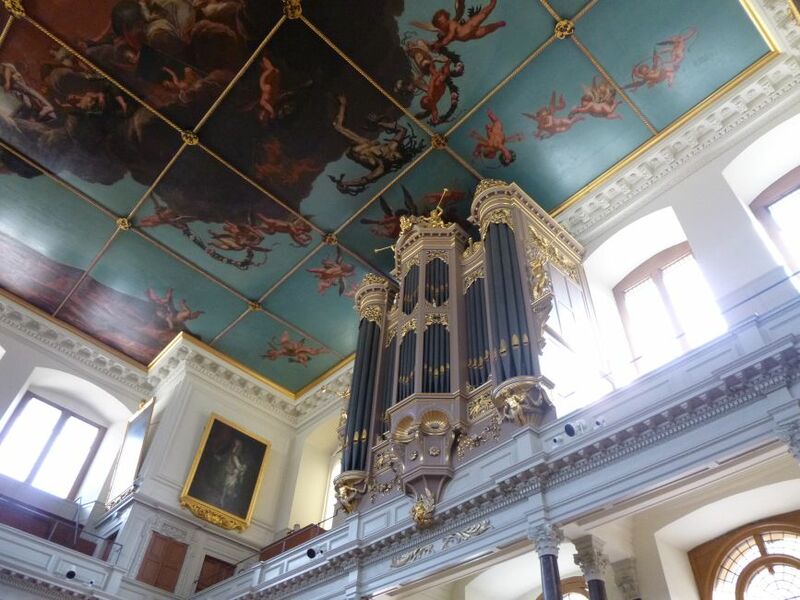 Today I'm sharing pics from my visits to the Sheldonian Theatre - which you can climb to the top of for fabulous views like these - and nearby Hertford College. The Sheldonian was designed by Sir Christopher Wren, built in the 1600s and named after the very wealthy guy at the university who paid for most of it (Gilbert Sheldon). 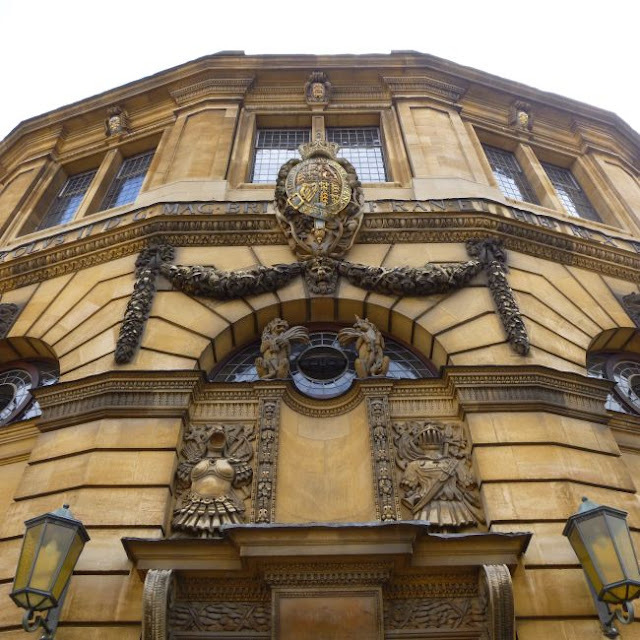 The Sheldonian Theatre is the official ceremonial hall of Oxford University, so it's the building where you receive your degree when you graduate and where a whole bunch of other University events are held throughout the year. 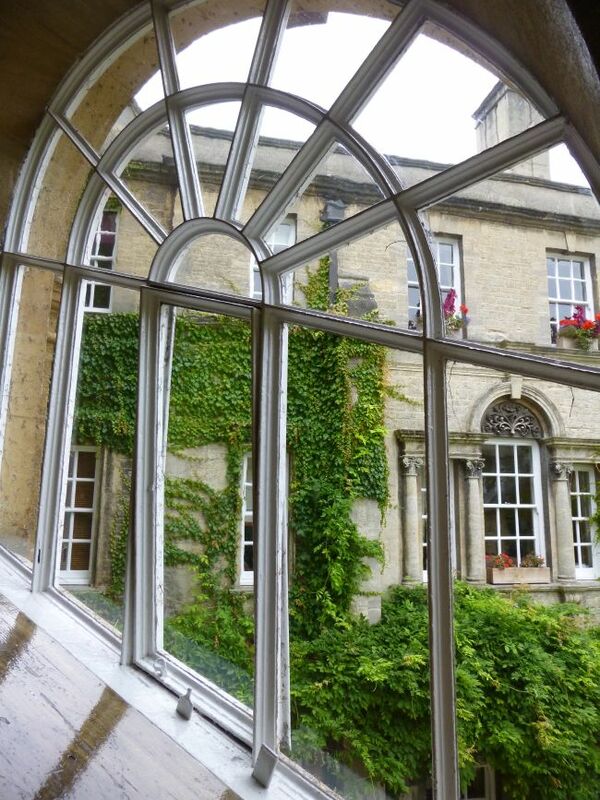 It's also used for music recitals and other events which are open to anyone who buys a ticket. The ceiling was painted during the rein of Charles II, and apparently depicts "Truth descending upon the Arts and Sciences and expelling ignorance from the University". 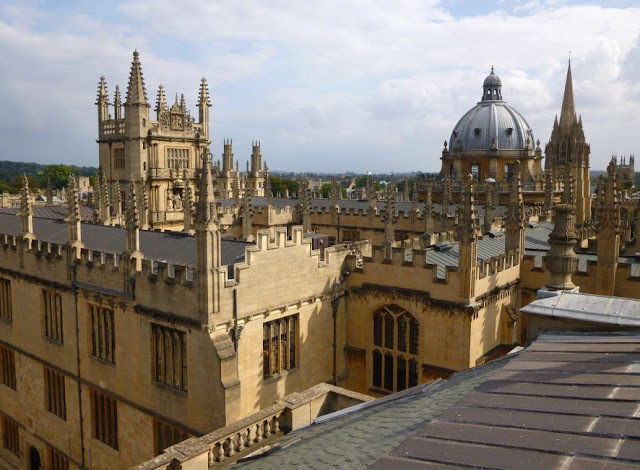 The main attraction though (in my opinion, at any rate) is the fact that you can climb up to the attic then into the cupola at the very top of the building for 360 degree views of central Oxford. I love climbing up towers and things to get an overview of a city! 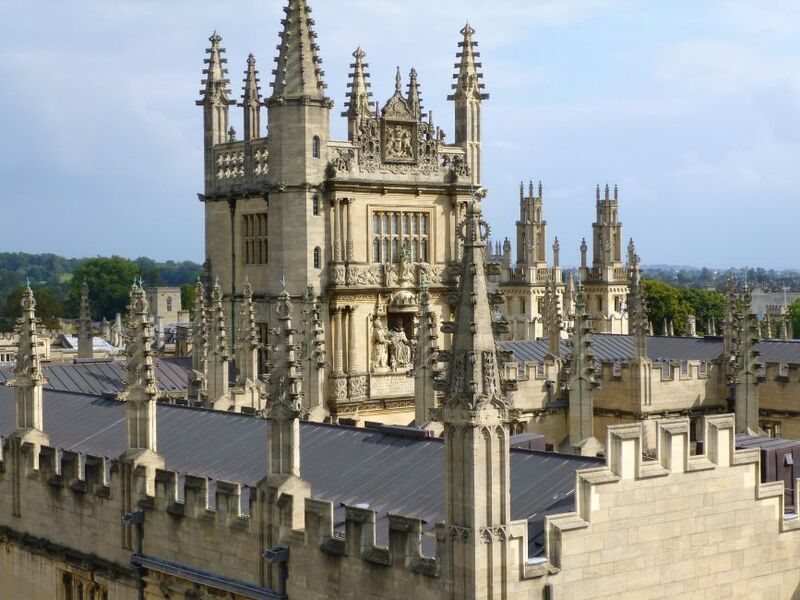 There are other places in Oxford to get good birds' eye views (like Carfax Tower, which I blogged about earlier this year) but I think this one is my favourite - those ornamental rooftops are just so gorgeous. 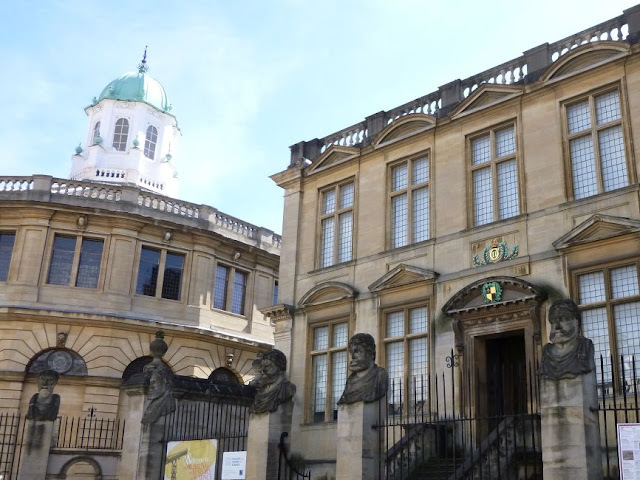 I visited the Sheldonian for free during Oxford Open Doors one year so there was quite a long wait to get up to the cupola, but it was totally worth it for those views. There are also informational boards in the attic about the architecture and history of the building to keep you entertained on your way up. 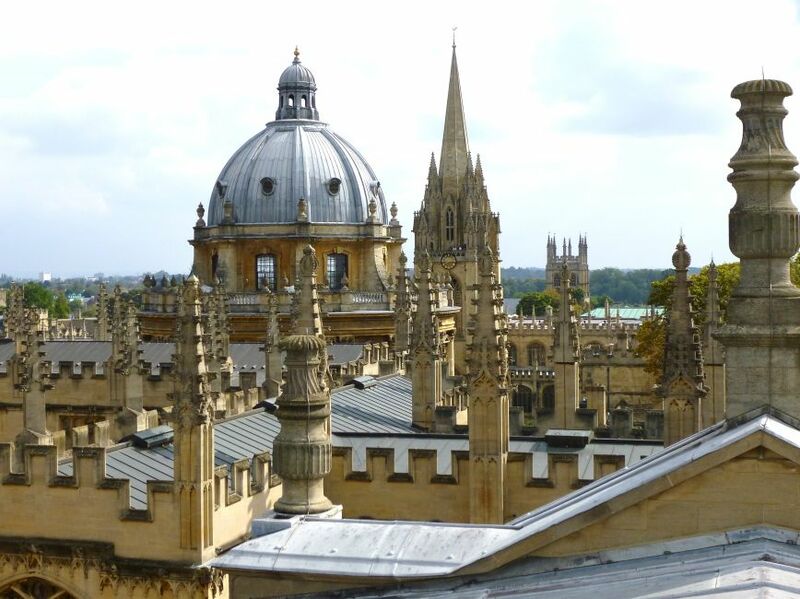 Near the Sheldonian - and just visible from its cupola - is Hertford College. 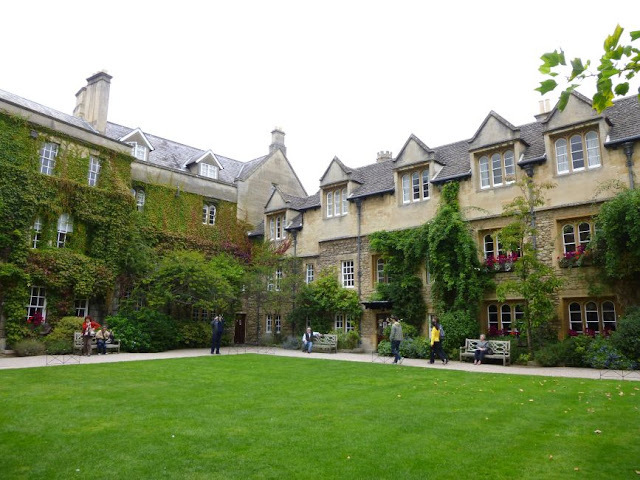 Hertford is usually closed to the general public (unlike many of the other colleges, which you can visit for free or a small fee) so it was a real treat to be able to visit it as part of the Oxford Open Doors festival. 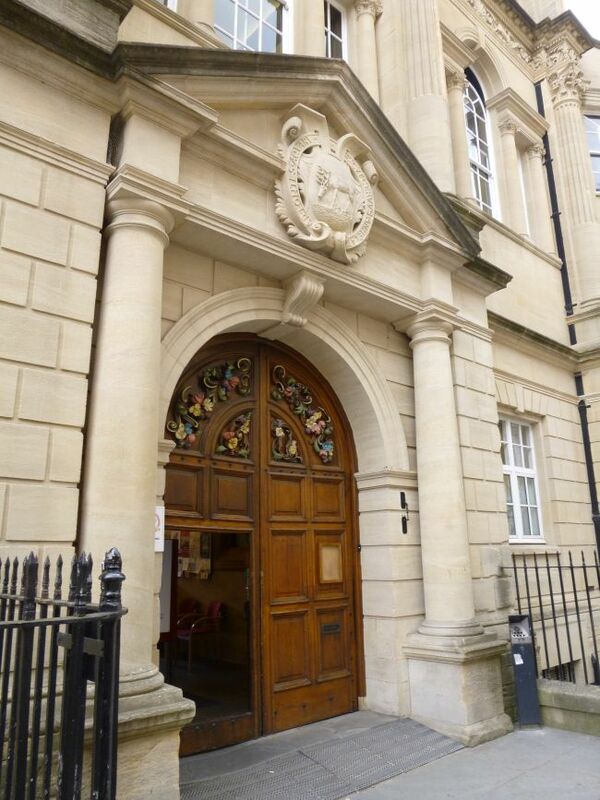 Hertford has a complicated history! 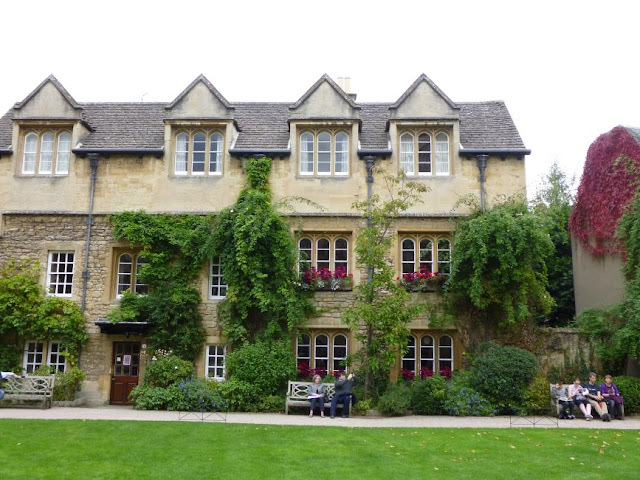 It started out life as Hart Hall in the late 1200s and expanded to become a full college (Hertford College) in the 1700s. The college was then dissolved in 1816 and the buildings were taken over by Magdalen Hall. This then became a college in 1874 but since Magdalen College already existed, they called it Hertford College instead. 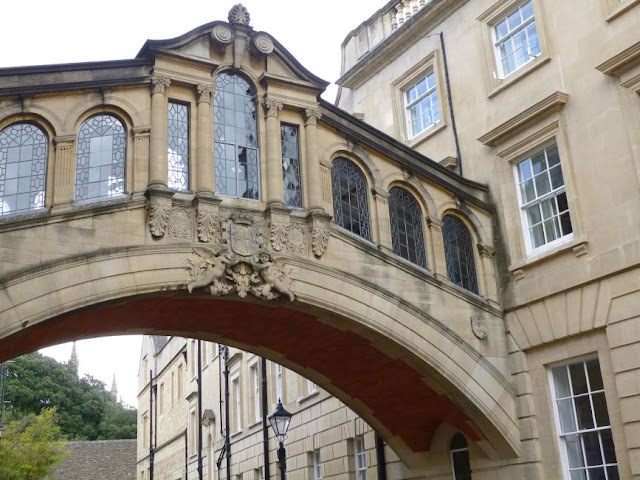 Even if you've never heard of Hertford, you'll probably recognise its most famous bit of architecture: the Bridge of Sighs, which was built in 1913 to link the old and new quads of the College together. ... particularly one with such a striking spiral staircase! Want to explore more of Oxford and its colleges? Click here to read all my posts about the city, including Exeter college, Carfax Tower, and Magdalen College. 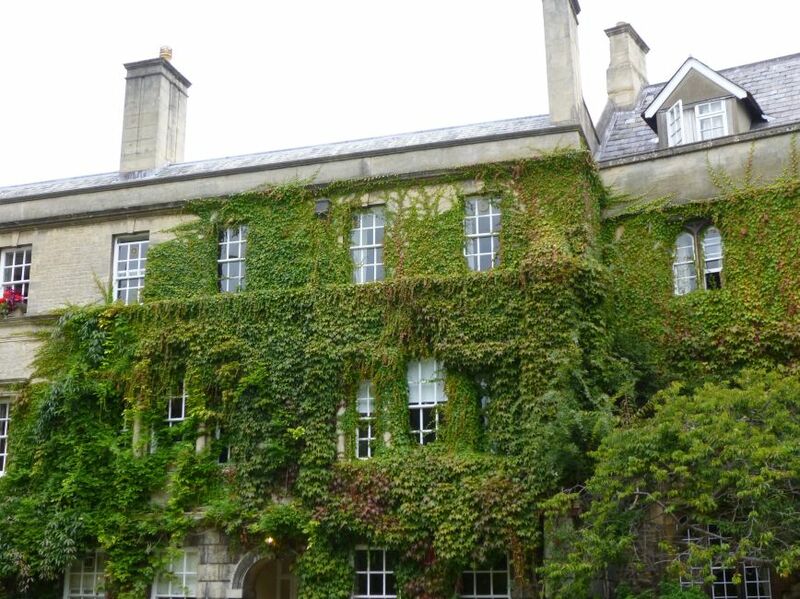 Click here to browse my full archive of travel posts. What amazing architecture! It must feel like a privilege just to be able to visit, let alone study in these buildings. 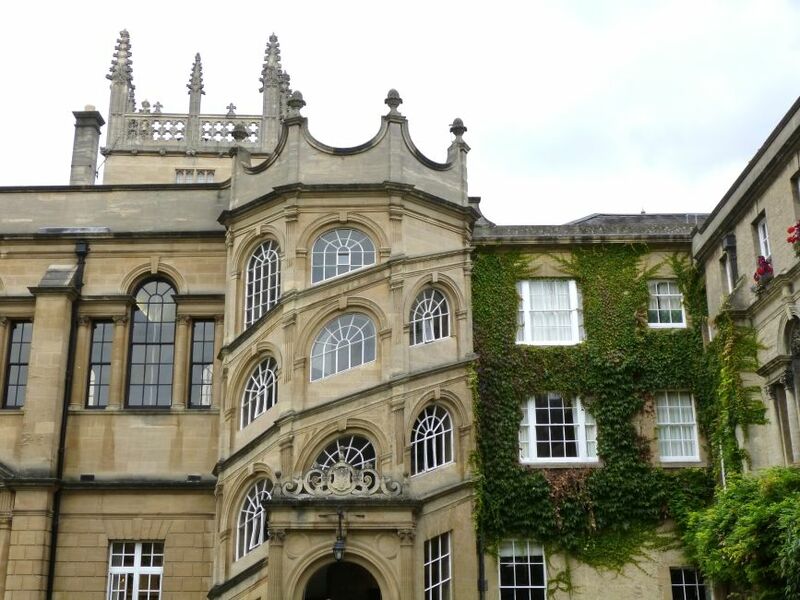 Hertford is my old college. Yes, most people have never heard of it so I would say, the one with the bridge Morse is always driving under! Thanks for the lovely pictures. 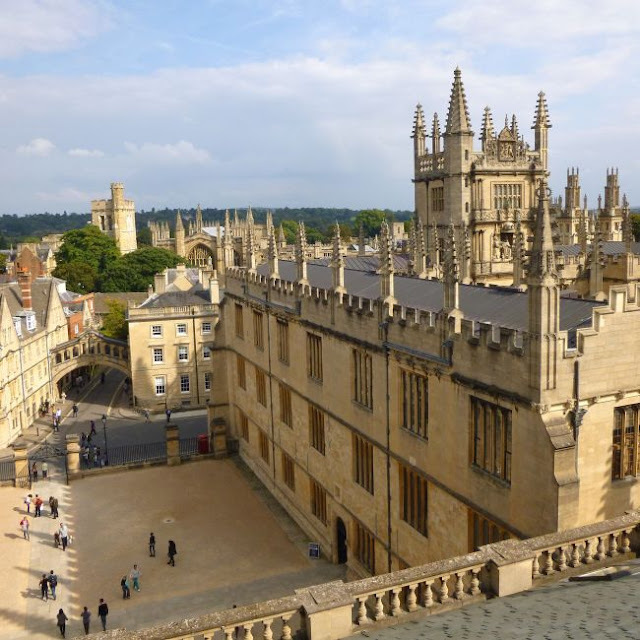 Emma - glad you enjoyed the post :) I haven't re-watched any of the Morse episodes since my recent visits to Oxford, I need to go back and watch them so I can spot all the places I've been! My Flat in Progress, Summer 2017: Carpet!